I live in an apartment tower located in downtown Minneapolis. 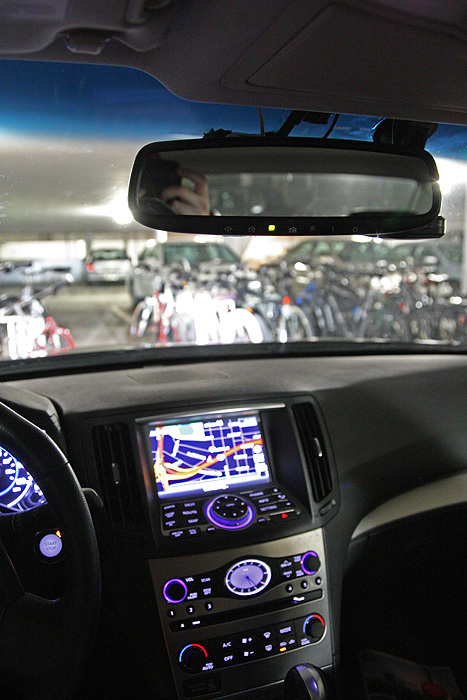 Many grad students and older people find it easy to commute via bicycles. There are about 100-150 bicycles lined up in the parking garage and it so happens my parking space is right in front of the main entrance to the racks. Drunk students on bicycles is a recurring concern so I decided I wanted this covered. The apartment is up a few floors from the top of the garage roof. A few floors of concrete and engine blocks means it is difficult to get a signal down there. To make matters worse, there are 296 access points on the 2.4Ghz network every time I do a WIFI scan. I bought a directional panel antenna from eBay and attached it to this. I then aimed the antenna in the direction of where my car was relative to the parking garage roof spaces. 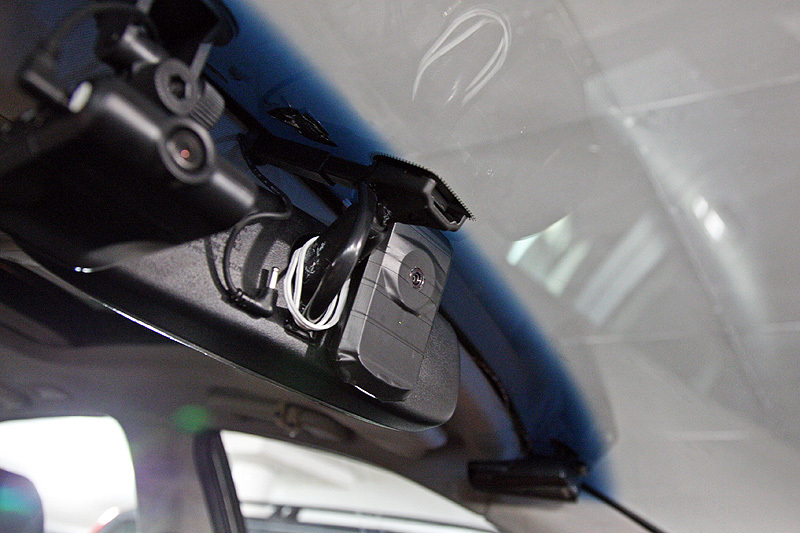 As soon as I drive into my space, the cam will automatically connect to my wireless and link up with BlueIris DVR. I then cut the power cable to the D-Link camera and extended the wire to reach a 12V – to – USB adapter. The adapter is plugged into a power strip that I wired into the fuse box to stay lit 24/7. 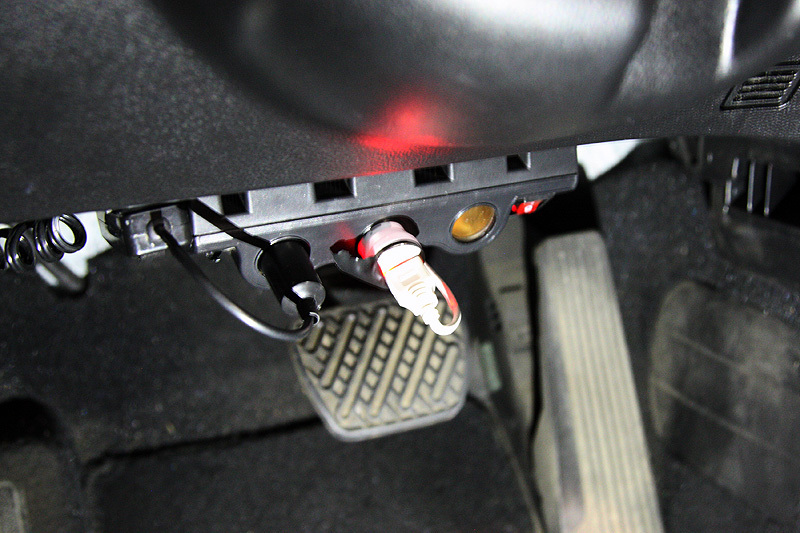 The rest of the car goes nuts if you try to plug something extra into the car where it shouldn’t be. Super annoying. I attached the camera to the mirror using super strong tape. 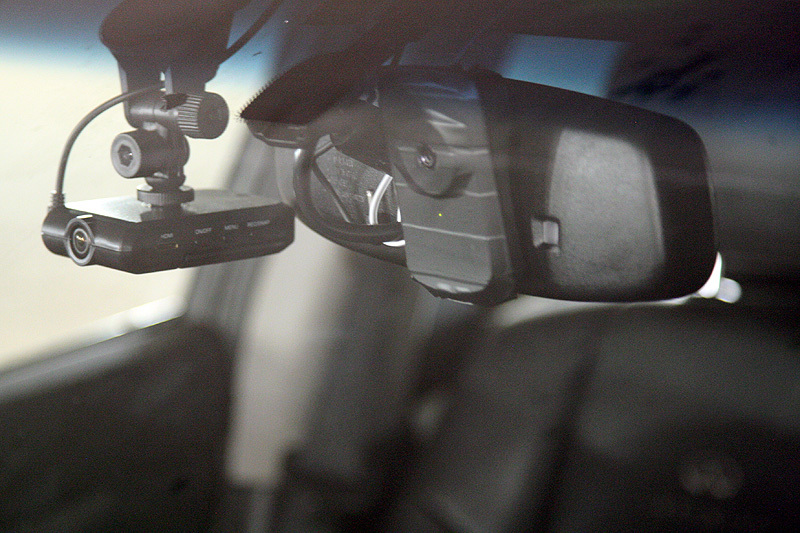 The camera to the left in the photo is my newer dash cam. 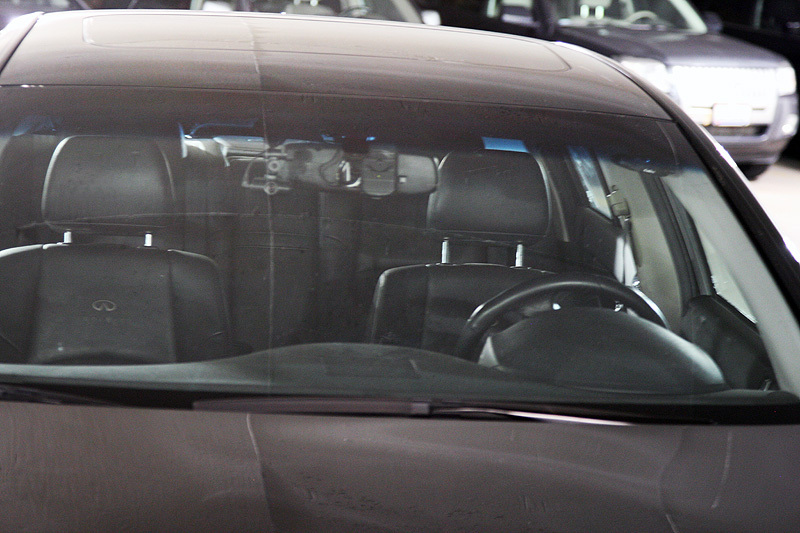 The old dash cam wires and window adhesive mess can still be seen (oops — I’m lazy.) If I were more ambitious I would have spray painted the cam instead of using electrical tape to make it black. Together this is what they look like close up from the outside. I put a really small hole in the electrical tape near the status LED so that I could see if it was running. You have to be in the right angle in order to see the LED. Less noticeable the further you walk away from the car. I had to angle the camera and give it a long shutter speed so you could actually see it. Most importantly, I didn’t want it to annoy me in the driver’s seat. Here you can see it’s pretty well tucked in there. Sample image. 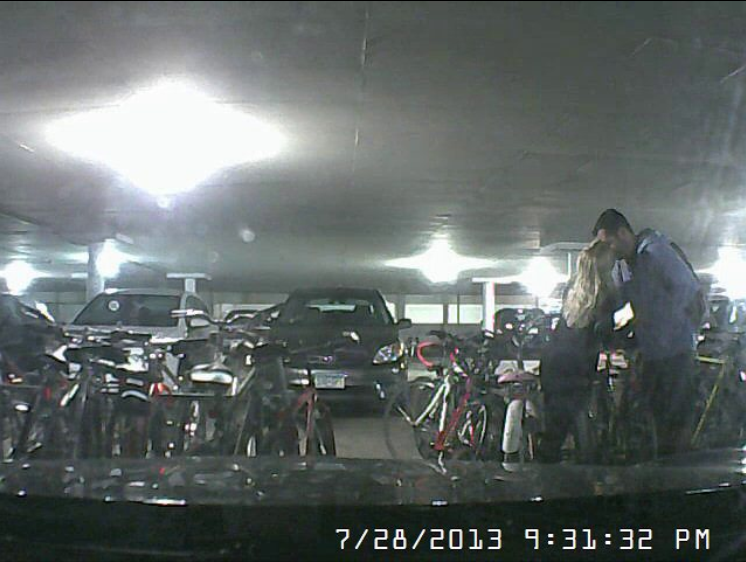 This couple later fell over onto the hood of my car while walking around the rack..
For a $30 camera it isn’t the best quality, but with this apartment tower it doesn’t take much at all to identify someone. If I found a little cube camera that did wireless and 720p for a reasonable price perhaps I would look into it.